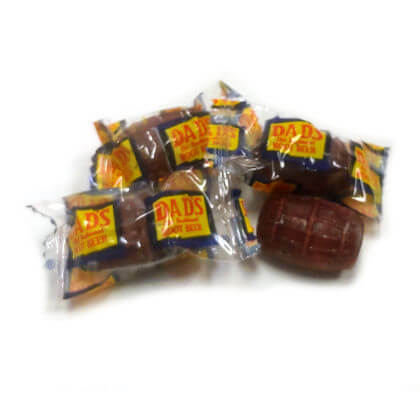 Dad's old fashioned root beer barrel candy. Individually wrapped. Approx. 3 pieces per ounce and .75 inches wide by 1 inch long. 12 oz bag. Made in USA.